Melanoma is a type of skin cancer. More than 1 million cases are diagnosed every year, exceeding the total number of cases of all other kinds of cancers combined. Even though it is a menacing condition, using natural healers like aloe vera can help control the condition. Melanoma is a type of cancer which develops due to irreparable damage to the DNA of pigment-containing skin cells known as melanocytes. This DNA damage causes genetic mutations that cause the skin cells to proliferate rapidly and form malignant tumors (spread to other body parts). Exposure to ultraviolet radiation (UV radiation) could cause Melanoma. Ultraviolet radiation from tan beds increases the risk of melanomas. Not wearing sunscreen and getting sunburned can also make a person susceptible to melanoma. Genetic mutations could also elevate the risk of melanoma. Melanoma manifests as skin-colored, pink, red, purple, blue or white asymmetric and irregularly shaped moles. Surgery usually manages Melanoma. It spreads to lymph nodes before spreading anywhere else. Therefore in an attempt to improve survival, lymph nodes are removed along with the tumors. Other treatments are chemotherapy or radiotherapy along with surgery. It has been observed that Aloe vera holds special qualities that can be helpful in managing melanomas. Let’s understand this magical medicinal herb better. Aloe vera is a plant belonging to the Liliaceae family. The name Aloe is derived from the Arabic word “Alloeh” meaning shining bitter substance while “vera” means “true” in Latin. Aloe vera is a medicinal herb that grows in tropical climates throughout the world. It can be found in many products such as skin lotions, beverages, ointments, etc. It has a whole array of uses and health benefits. It has a gel-like substance in its fleshy leaves that is used in many products for its properties in soothing burns, irritation, and inflammation. 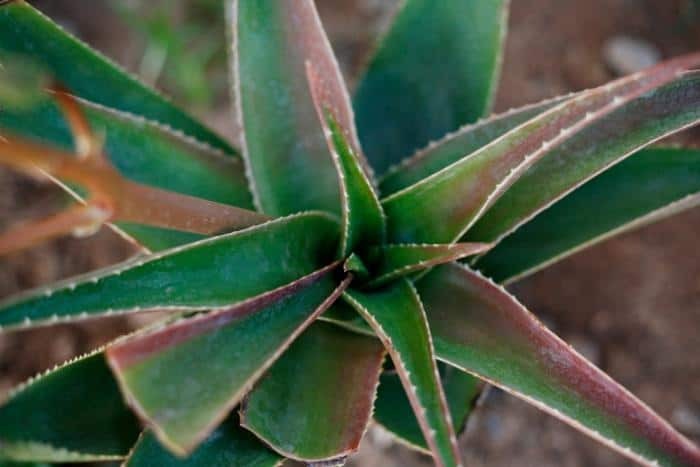 Significant anti-melanoma effects of aloe vera compounds have been observed, including a reduction in the size of the tumour, photodamage protection, etc. The next section will focus on the means by which aloe vera helps in managing melanoma. Aloe can help in several ways in preventing and helping in Melanoma. It protects against sun’s harmful UV. It’s Antitumor and immunomodulatory properties due to aloe emodin and acemannan help in fighting against metastatic melanoma. 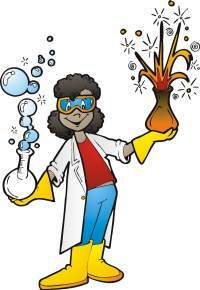 Sunlight reaching the earth is made up of two types of harmful radiations: Ultraviolet A (Long wave) and Ultraviolet B (Short wave). Longwave radiations penetrate deep into the skin’s thickest layer, the dermis, whereas short wave radiations usually burn the superficial layers of the skin. UVA causes a more permanent damage to the skin. It damages the DNA via photoreactions (light sensitive reactions) that result in the formation of oxygen free radicals. These free radicals then cause oxidative damage to the cells and mutate them. It is associated with inflammation, immunosuppression, photoaging of skin and melanogenesis (formation of melanin). The ozone layer acts as a filter for UV radiations and prevents them from reaching the earth’s surface and causing diseases like skin cancer, cataract, etc. Due to the depletion of the ozone layer, the numbers of melanoma cases have gone up considerably. It has been observed in some researchers that the cases of melanoma have been more frequent in users of sunbeds and sunscreens. A study was conducted to observe the mechanism of aloe vera extract in protection against UVA. The effects of aloe vera in protection against the killing of HaCaT keratinocytes (keratin producing cells) by UVA were observed. The protection conferred was associated with aloe vera maintaining the integrity of cellular membranes and organelles. The increased lysosomal stability (lysosome is an organelle that removes waste substances from the cell) lead to a decrease in cell death. This explains how aloe vera extract offers protection against photodamage at a cellular level. Thus, it can be advantageous as a supplement in dermatological formulations. Aloe has been observed to have a great UV opacity potential. It can block UVA and UVB rays associated with melanoma. It can absorb damaging radiations in the visible spectra as well. What does this mean? Aloe vera can protect the cells against photo damage, thus preventing photoaging and melanogenesis. It maintains the integrity of the cell and protects against DNA damage associated with melanoma. Thus aloe vera can be used in protective dermatological products. Aloe vera contains several very large polysaccharides (connected sugars) containing glucose and mannose. When released into the human bloodstream, these cause the release of certain substances from white blood cells (cells of the immune system) that activate the natural killer cells of the body. Natural killer cells attack the cancer cells and destroy them, without affecting the normal cells of the body, unlike chemotherapy or radiation. They have the potential to destroy every last cancer cell. Acemannan is a polysaccharide extracted from the Aloe vera leaf. It has been shown that acemannan stimulates the immune system to produce macrophages (a type of cell capable of engulfing bacteria and small cells) and interferons (Signaling proteins released during infection). A few animal studies suggested that acemannan can stimulate the immune system to produce cancer-killing chemicals known as cytokines. Acemannan accelerates the destruction of cancer cells, increases the survival time and finally, results in far better recovery from extensive radiation and chemotherapy treatment. Aloe emodin, a compound present in aloe vera leaves, has been observed to possess antitumor and immunomodulatory properties against melanoma cells. A study was conducted to assess the antitumor effect of aloe emodin in metastatic human melanoma cell lines. It was observed that aloe emodin showed immunomodulatory properties by the action of gamma interferons. Aloe vera extract didn’t allow the proliferation of the mutated human melanoma cells and produced inhibitory compounds. An animal study assessed the antitumor properties of aloe emodin in highly metastatic melanoma cells. Various tests were performed for cell proliferation and viability. Transglutaminase 2 (TG2) activity was evaluated. TG2 has been observed to play an important role in inflammation and tumor progression. It promotes the motility of malignant cells and induces chemo-resistance to cells. The results concluded that aloe emodin shows inhibitory effects on TG2 and prevents metastasis of melanoma cells. Overall it was observed that aloe emodin possesses antitumor, anti metastatic and antiproliferative activity against melanoma cells and can be used in differentiation therapy of cancer or as an adjuvant in chemotherapy. What does this mean? Aloe vera contains compounds like aloe emodin and acemannan that act as immunomodulatory and antitumor agents against melanoma cells. It helps stop proliferation and metastasis of melanoma cells. Aloe vera improves the effectiveness of conventional cancer therapy drugs such as cisplatin. In a study conducted on 240 patients, it was observed that immunomodulating substances such as present in aloe vera, can be successfully used to manipulate the efficacy and toxicity of cancer chemotherapy. The study yielded results that confirmed that aloe vera could be associated with chemotherapy to increase its efficacy regarding tumor regression and survival rate. It has been seen that Aloin, a natural anthracycline (drugs used in chemotherapy) from aloe plant shows antitumor property and enhances the anticancer activity of cisplatin in melanoma cells. Aloin showed inhibition of cell proliferation, adhesion and cell invasion of metastatic melanoma cells. It also exhibited differentiation of metastatic cells through enhancement of melanogenesis and TG2 activity. It was observed that the combined treatment of cancer cells with low doses of cisplatin and aloin enhances the antimetastatic capabilities of aloin. What does this mean? Aloe vera contains compounds such as aloin which increase the efficacy of cancer treatment by increasing the radiosensitivity and differentiation of metastatic cancer cells and preventing them from proliferating. It increases blood circulation, thus improving the absorption and transport of anti-cancer drugs. When the skin is exposed to harsh sunlight for long periods of time it starts to burn on the surface, turning red and inflamed. If it is severe, then one can develop sunburn blisters. Sunburn is a clear sign that the DNA of the skin cells has been damaged by too much UV radiation. It has been seen that getting sunburned just once every two years can triple the risk of the person developing melanoma. A study linked an increased risk of melanoma with an increasing number of sunburns during all life-periods. It was also observed that women who get five or more blister sunburns between the ages of 15-20 have 80% increased risk for melanoma. Aloe contains 75 active compounds, including vitamins, enzymes, minerals, sugars etc. These compounds help in reducing pain and inflammation. Aloe vera helps skin rejuvenation by enhancing collagen (gives skin elasticity and strength while replacing dead skin cells) and hyaluronic acid (helps soothe burns). Increase in collagen production makes the skin more elastic and flexible thus helping in soothing skin ailments. Aloe vera reduces the production of prostaglandin, lipid compounds which cause inflammation, thus reducing the chances of inflammation to occur after radiotherapy. It also helps increase the healing rate of skin burns. In one study, burn sites treated using Aloe gel healed in 16 days as compared to the 19 days healing time taken for sites treated with normal medicine. Aloe vera shows a protective effect against radiation damage on the skin. It helps to reduce the inflammation due to sunburns. Aloe shows antibacterial and anti-inflammatory effects that don’t allow bacteria to infect the burn wounds and blisters and reduces inflammation at the same time. What does this mean? Aloe vera helps cure and improve various risk factors for melanoma. It helps in treating sunburns through its anti-inflammatory and wound healing properties. Inflammatory skin condition- A cream containing aloe can be applied to the skin three times daily for up to four weeks. A commercial gel can also be used. Radiation-induced skin injury- Aloe gel for topical application, applied twice daily in combination with usual skincare. Skin burns- 97.5% aloe gel can be applied to the burned area. Aloe mucilage can be applied twice daily until burns are healed. Skin blisters- Wound gel with aloe can be applied three times daily. Aloe vera should never be applied to an open wound as it can reduce the wound healing process and cause irritation and inflammation. It is not advised to consume aloe vera in large doses. It is best to consult a health practitioner before using. Medical attention should be sought for severe burns and wounds. Concentrated aloe fractions stimulate increased bowel function and it is recommended to start dosage slowly and increase your intake gradually to avoid intestinal cramping. Use of aloe vera on the skin for a prolonged period can result in skin inflammation, allergic reaction or delayed wound healing. Diarrhea has been reported with oral use of aloe latex because it is a laxative. It may also reduce absorption and effectiveness of some oral drugs. There have been a few reports of liver problems in individuals taking aloe leaf extract; yet this is uncommon. Aloe vera is considered to be one of the best natural medicinal herbs. It has no significant side effects, unlike the many medications used to treat melanoma. It protects the cells against damage by the sun’s harmful UV rays by maintaining the integrity of the cell. Antitumor and immunomodulatory properties due to aloe emodin and acemannan help in fighting against metastatic melanoma. Aloe vera increases the efficacy of melanoma cancer therapy with cisplatin and also reduces the risk factors for melanoma. This is done by treating sunburns, reducing inflammation, boosting the immune system and preventing metastasis. Overall, aloe vera can be a promising agent in differentiation therapy of melanoma and as an adjuvant for chemotherapy.